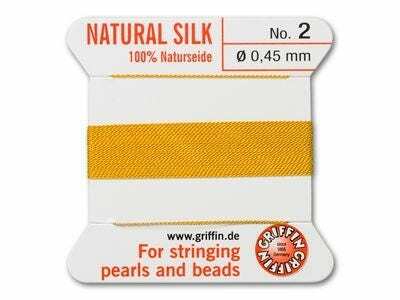 A personal favorite when knotting pearls or beads is Griffin, and the attached needle is brilliant. This listing is for one (1) new in package Griffin silk cord with attached needle. Colors/hues can differ with each monitor.